This photo might not be appropriate for the current season, but it’s surely got us lusting for summer! 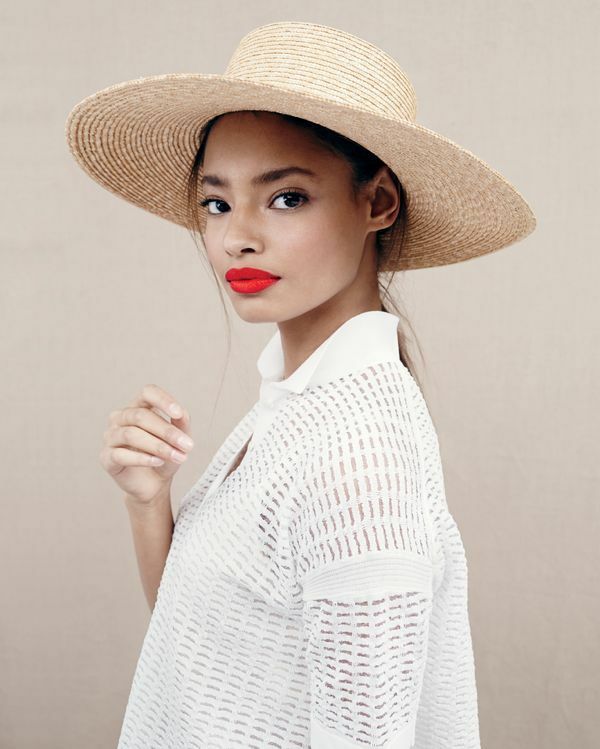 If you’re on holiday somewhere warm right now, this breezy top, beautiful hat, and orangey red lip will be spot on for a day of travel explorations. What has you looking forward to the warmer months this week?